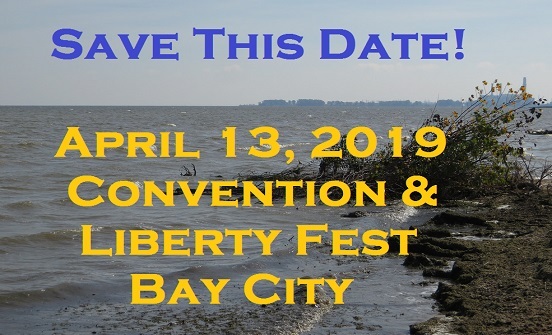 The 2019 State Convention and Liberty Fest (Awards for 2018 achievements) will be in Bay City on April 13th. 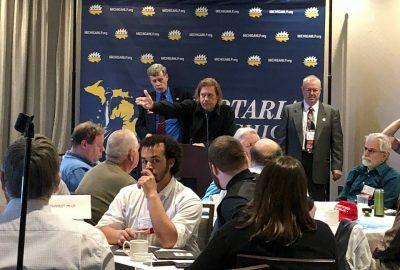 Libertarians from across Michigan will assemble for their 2019 convention on Saturday, April 13th . We will be gathering at the Courtyard by Marriott Hotel, 2 East Main Street, Bay City, Michigan. Many details have yet to be worked out, but please plan to attend this important event. The convention business session for elected delegates and alternates will feature proposed amendments to our Bylaws, reports from current state party officers, the election of state party officers for a two-year term, and caucuses to select congressional district representatives to the state executive committee for two-year terms. You must be selected as a state convention delegate or alternate by a local affiliate or unaffiliated regional caucus in order to vote at the convention. Each affiliate sets the date of its caucus to select delegates, so check with your local affiliate. 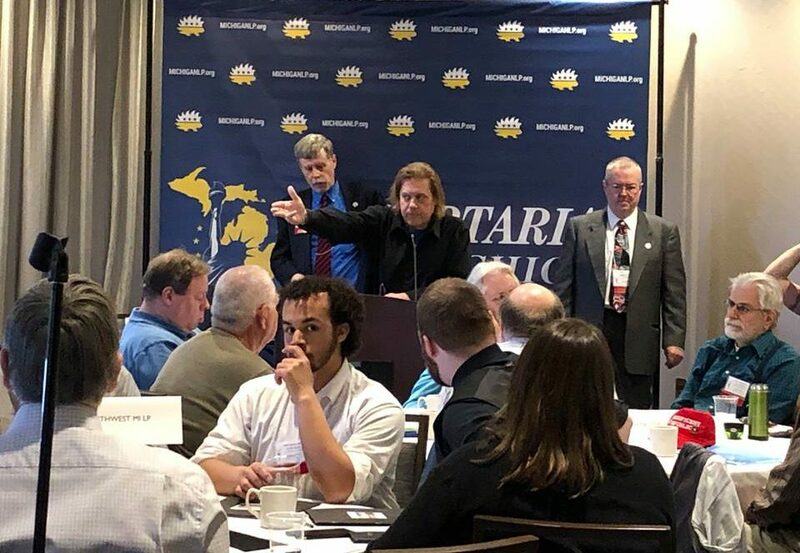 You must also have joined the Libertarian Party of Michigan (LPM) as a dues-paying member at least 30 days prior to the convention in order to serve as a state convention delegate or alternate. Spokesperson for Liberty – A member of the community whose patriotism and conviction have inspired contributions to the cause of Liberty. 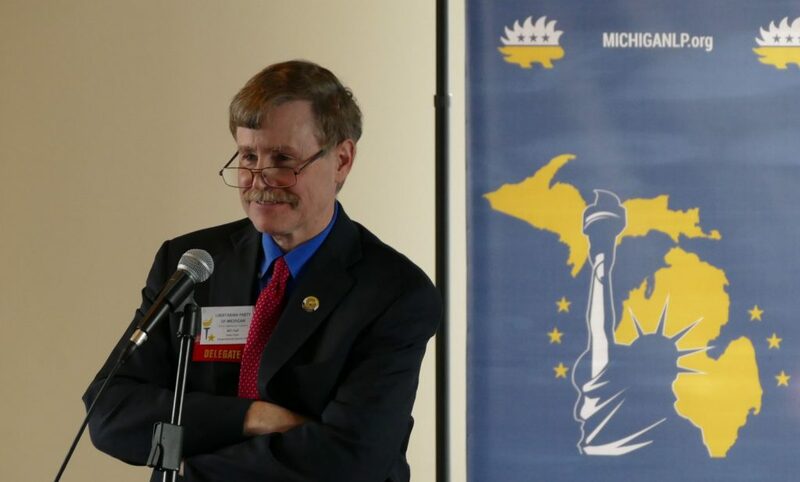 Promoter of Liberty – A Libertarian whose efforts have done the most to promote the LP and Libertarian principles. 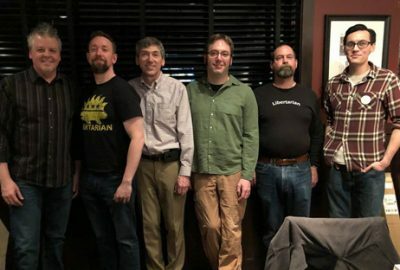 Producer of Liberty – A dedicated, behind-the-scenes Libertarian whose quiet labors over the years exemplifies the backbone of the LP. 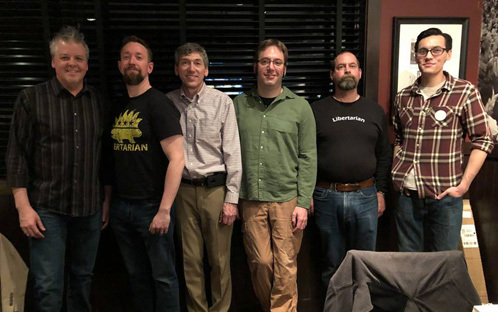 If you have any nominations for the Libby Awards please email them to chair@michiganlp.org with the subject line “Libby Award Nomination 2018”, and they will be forwarded to the Libby Awards Committee, once that committee is appointed. Convention package pricing and other details have yet to be set. 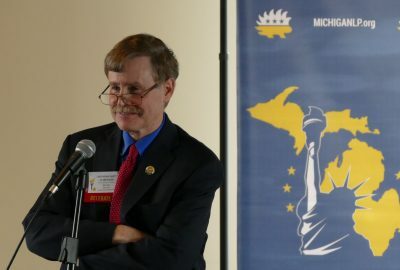 When those details are set, you will be able to reserve your package at www.michiganlp.org. We have reserved a block of rooms at $119/night (plus taxes, etc.) for single or double occupancy at the convention hotel. To reserve a room, go to this special webpage. Book by March 22nd for special rates. Editor Scotty Boman thanks the Editorial staff for their work on the Newsletter. Photo by Lisa Gioia. Nice opinion....sad we need them, can't have muh rights without SCOTUS...doncha know.